Collecting customer feedback can be quite a challenge. Low response rates coupled with confusing answers can be problematic. We asked a number of our readers for their top tips. We’ve introduced a ‘middle ground’ survey two weeks after contact to measure the end-to-end customer experience. Great customer service agents will satisfy your customers, but issues in process or product can sometimes go unnoticed using a post-contact survey only. Congratulations to Emma who wins a bottle of champagne for this tip. 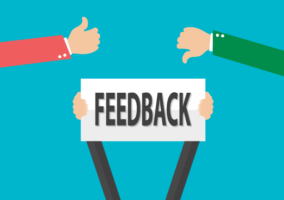 What about getting more in-depth feedback from customers who had a good experience? To deliver this across the board, you want to know what you’re doing well. Maybe use a Green Alert? The majority of customer issues have nothing to do with the call centre! You need to ensure that feedback goes into the rest of the organisation too, and is actioned! Quantifiable information is really more powerful, so volume of feedback obtained is important. We donate £1 to charity for every response. We also say that our MD reads all suggestions and sends £10 to the top 10 suggestions each month. This generates a lot of really good verbatim comments. 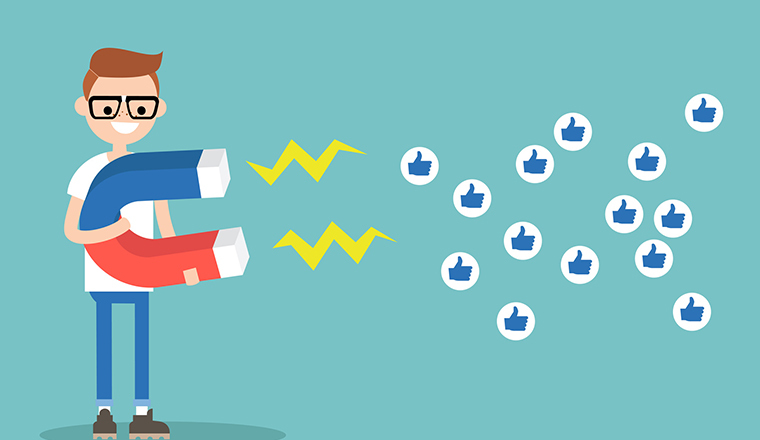 Compliments can be as useful as complaints to understand customers’ needs and expectations. Encourage your team to log compliments as much as complaints. It’s not about boasting – it’s a real business need that will improve your service! Customers rate the calls wrongly in the IVR most probably because they don’t understand or they do not respond in time. Ensure your questions are specific to the feedback you want to gather. The customer needs to easily understand the scoring or answer method. A very clear question with an easy way of answering is essential. How about social media feedback? This is a channel we monitor and we have found that it is widely used by customers for providing feedback. How you collect the information dictates how much detail you get. Email can give you more, with a longer survey and more questions. Know why you want feedback to make sure that your questions are relevant to your customers. You will get more responses that way. Listen to the customer but at the same time talk to, and listen to, your own staff. Your staff will often know what the problems are with processes and how they upset customers. This is available free of charge. We completed face-to-face feedback sessions with some clients. They were encouraged with some decent refreshments and a shopping voucher. We gained some in-depth and very honest feedback as the sessions were hosted by an independent company. Rating service online is the fastest and easiest form of feedback. Human interaction should be used when a low score is given. Direct agent feedback can then help to avoid repetition of a behaviour. The Millennial Generation use their handheld devices for just about everything these days. SMS has to be the most important channel. Going forward, social media feedback would appear to be used when customers have had a bad experience – for example to vent views. We are in the process of introducing a Voice of Customer Committee. This means that we can get the feedback from advisors on what customers are telling them throughout their calls. 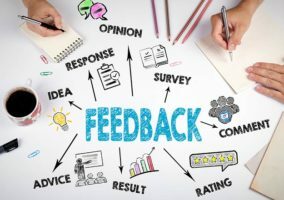 This will then be used in conjunction with any other feedback received and the advisor community really feels involved in any decision making. We find that customers struggle with 0-10 scales and often leave 0’s when their verbatim suggests their score should be a 10. We suggest using a 0-9 scale on a call IVR to avoid this complication. We’re currently using some of our positive feedback from customers in a new call centre brochure we are producing. 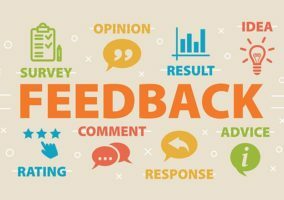 Do you have any tips for collecting customer feedback? Put your thoughts in an email to Call Centre Helper. Contact customers at a time that is convienent with them. For example, if you’re business to business, contact retail customers during typically quiter times in the day to increase your chances of speaking to the right people and gathering honest, detailed feedback. It’s great to hear tips from people actually doing it rather than consulting on it. These are all great suggestions. The important bit that’s missing though is first to be clear about why customers ever bother to give feedback, and what they hope will happen as a result. Sometimes it’s praise for a job well done and that’s very motivating. But very often it’s because they want someone to listen to their comment and fix a problem. The most dis-heartening thing for a customer is to feel like their comments have been ignored. So if you do collect feedback (and you should if you want to improve retention, repeat business and customer recommendations) it’s extremely important that you devote even more effort to make sure your organisation is equipped to act on it swiftly. When I ran a call centre, that made more difference to overall customer satisfaction than all the other initiatives we tried, put together. In more complex environments where the final solution is very depending on backoffice or proces, you can contact customers max 24 hours after the first contact with customer service, and the same customers for example one month after the contact. You would be surprised on the difference in perception from a customer point of view. It gives great insight and is more end2end. The second great way is contacting customers with a questionair that measures more the perception of the customer. Don’t ask ‘on a scale of ten’ because normal humans don’t think that way. Ask them for example ‘did you have to wait’ and ‘was the wait time acceptable. I did such a survey in a situation where waiting times were as high as 20 minutes. Surprisingly, every customer responded that they had to wait, but that the waiting time was acceptable in 90% of the cases. The reason why? Because once they were connected, the agent took the time to listen and give a proper answer and sollution. Great insights. I particularly like point no. 7 – Ensure questions are specific to the feedback. I’ve recently put together an article on survey response rates and this tip definitely helps to increase them. I also agree that Questions must be easy and concise.